A plan to ban the sale and possession of certain kinds of firearms and ammunition magazines backed by Virginia governor Ralph Northam (D) failed a vote in a house subcommittee on Thursday but awaits action in the state senate. By a vote of 4 to 1, Delegate Kathy Tran's (D) HB 2492 failed to pass out of the committee. That effectively kills the proposal within the House of Delegates. However, an identical Senate bill, Senator Adam Ebbin's SB 1748, is awaiting a vote in the Committee for Courts of Justice. The bills would make it illegal to "possess or transport any assault firearm." It would define "assault firearm" as any semiautomatic firearm "equipped at the time of the offense with a magazine that will hold more than 10 rounds of ammunition" or one that is "designed by the manufacturer to accommodate a silencer or equipped with a folding stock." If passed, it would likely affect millions of Virginia gun owners and a majority of guns currently on sale in the state. "The legislative proposals being discussed would put most firearms beyond the reach of law-abiding Virginians who choose the firearms of their choice to protect themselves, hunt, and practice recreational target shooting," Lawrence G. Keane, general counsel for the National Shooting Sports Foundation, told the Washington Free Beacon earlier this week. "That could potentially impact the availability of tens of millions of firearms." The move to block the gun ban and confiscation plan is part of wider resistance to Northam's push for stricter gun control on a number of fronts. Republicans, who control both houses of the Virginia General Assembly by slim margins, have thus far followed through on their promise to fight the new gun-control measures. The Virginia Citizens Defense League (VCDL), a state level gun-rights group, said the governor's gun-control agenda has already been mostly defeated. Proposals to create extreme risk protection orders, reestablish restrictions on how often Virginians can buy handguns, create potential criminal punishments for those who don't report their firearms lost or stolen within 24 hours of finding out, make the sale of used guns between private citizens without a federal background check illegal, and increasing penalties for people who leave firearms accessible to children while raising the age of children from 14 to 18 were all defeated in committee. 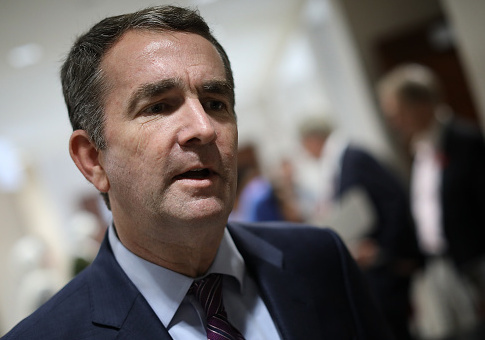 "Except for a last-minute introduction of a bill banning ‘assault firearms,' the rest of Governor Northam's gun-control bills have all gone up in a puff of smoke," Philip Van Cleave, VCDL president, told the Free Beacon. "The Republican-controlled committees in both the house and senate are doing a spectacular job of protecting a critical civil-right from being destroyed by the anti-self-defense Democrats in both bodies." Van Cleave said, despite the progress in holding gun-control bills at bay, the group will remain vigilant. "There are still a few good, and a few bad, gun bills alive in both bodies," Van Cleave said. "Those bills will probably be heard next week and VCDL will be there when they are heard." This entry was posted in Issues and tagged Gun Control, Guns, Ralph Northam, Virginia. Bookmark the permalink.